Preliminary observations on Sen. Benef. IV 30-31: Seneca pleads the cause of noblemen, though degenerated, in matters of political advantage over homines novi, being at odds not only with Sallust’s and Juvenal’s blame against the privileges of nobility but with philosophical precepts too. 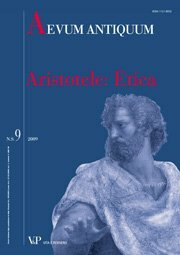 Howewer, Seneca’s attitude presents a diacronic evaluation of virtue, is ethically subordinated to spur to benefits, and represents a theoretical justification of an opinion deeply rooted in Roman society.